This week, Samsung representatives are standing by at some of the world’s busiest airports, ready to exchange Galaxy Note7 phones for something new and less combustible. After dozens of fires, two recalls and the complete cancellation of the product, the US government on Saturday warned that anyone knowingly bringing a Galaxy Note7 and its potentially explosive battery onto a plane could be subject to criminal prosecution. There’s plenty of reason to blame Samsung for this debacle. It rushed the phone to market. It didn’t subject the batteries to independent testing, as its competitors routinely do. It was slow to acknowledge the scale of the problem. And it failed to properly coordinate its response with regulators. But perhaps Samsung’s biggest mistake was one common to many phone makers: in the race to make the slimmest devices possible, it created a product that can no longer be easily repaired or refurbished. For years, this trend has been harmful to consumers and the environment; now it’s clear that it can hurt a manufacturer’s bottom line and reputation, too. The immediate problem with the Galaxy Note7 is a manufacturing defect that makes its batteries prone to short-circuiting and combustion. That didn’t need to be a fatal flaw: as recently as 2014, one of the top selling points for Galaxy Note phones was that a user could switch out the battery pack with ease. If the Note7’s batteries could have been quickly replaced, the toll of the current crisis would have been far smaller. Samsung’s new approach offered one other advantage. Replacing batteries is now a high-margin business for phone makers. Apple charges US$79 to swap out a battery on an out-of-warranty iPhone 6, even though replacement kits, complete with tools, can be found online for less than $30. Those who already have the tools — such as the fast-growing independent phone-repair industry — can purchase the batteries online for less than $10. Samsung had the same idea: it costs $45 for an authorised service centre to swap out a battery for the premium S6. But many owners will simply upgrade instead of going through the trouble. And that’s precisely what the manufacturers want: an overly expensive battery replacement is really just the starting point for upselling a new phone. 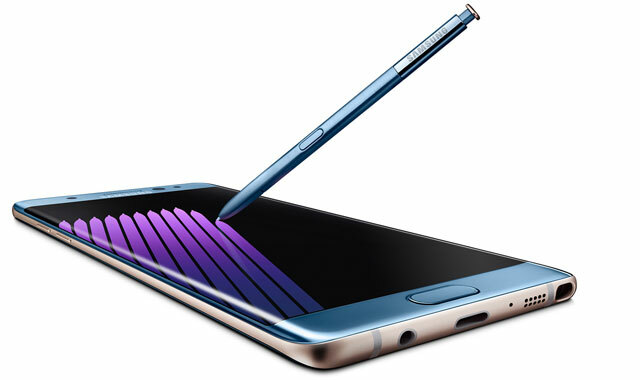 The Note7 recall is a blunt reminder that, in a crisis, those harder-to-repair phones can become a vast liability. Instead of switching out 2,5m batteries, Samsung is now preparing to “dispose” of 2,5m phones, at a cost that will easily exceed $1bn, not to mention long-term reputational damage. And the cost to the environment may be steeper. By one estimate, the average new phone requires 165kg of raw materials, including gold, copper, rare earths and oil. Even under the best circumstances, recyclers can recover only a small percentage of such ingredients. Samsung hasn’t disclosed what it plans to do with all those recalled phones, but it’s a safe bet that it will amount to an enormous waste. It doesn’t need to be this way. Manufacturers are fully capable of designing products for easier repairs, and some are doing so. When Apple designed the iPhone 7 to be water resistant, it didn’t rely on adhesives but instead opted for repair-friendly gaskets and seals. FairPhone, a Dutch social enterprise, has sold tens of thousands of premium modular phones that allow customers to snap out batteries with ease. LG has carved out a profitable niche making high-end phones that do the same.